Cool! 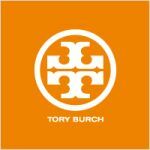 Save an average of 20% on toryburch.com with 2 Coupon Codes, and 25 Deals! Details: Take 20% off orders of $300+, 25% off orders of $500+, or 30% off orders of $750+. Offer ends 12/2/13. Details: Shop for Dresses and Gowns at ToryBurch.com! Details: Shop the New Equestrian Boot and Receive Free Shipping on Your Order of $300 or More. Click to activate. No code required. Details: Save Up to 60% on Clothing During the Winter Sale Event. Plus, Receive Free Express Shipping if Your Order is $300 or More. No Coupon Code Required. Details: Shop the Latest & Greatest New Arrivals at ToryBurch.com. Plus, Get Free Shipping on Orders $300+. Details: Receive Free Shipping if Your Order is $300 or more. Click to activate. No coupon code required. Details: Save Up to 55% on New Swim and Spring Styles. Plus, receive Free Shipping if your order is $300 or more. Click to activate. No coupon code required. Details: Take Up to 30% Off Shoes - Including Ballet Flats, Boots, Heels and Wedges. Also, Receive Free Shipping on Orders of $300 or more. Details: Save an extra 25% off sale items. Expires on 01/06/2014. Details: Shop the New Tory Burch Beauty Collection - Featuring Fragrance, Body Lotion, Lip Color & More. Now Available! Details: Gifts Under $250 - Make someone happy with gifts under $250. Expires on 12/31/2013. Details: Save Up to 55% on Sale Items. Plus, Receive Free Shipping on Orders of $300+. Click to Activate. No Code Required. Details: Support The Breast Cancer Research Foundation With These Exclusive Styles For The Month Of October. Quantities May be Limited. Ends 10/31/13. Details: Get up to 70% Off shoes, accessories, and clothing during the Private Sale. Expires on 10/28/2013. Details: Shop for the Summer Essentials - The Beach Bag, The Jewelry, The Sandals & The Tunic. Receive Free Shipping on your order of $300+. No code required. Details: Shop a great selection of chic and easy gifts under $100. Details: Shop Now and Get Free Express Shipping & Free Returns on All Orders. Ends 12/18/2013.